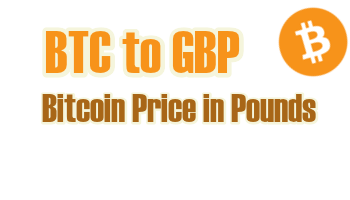 Convert Bitcoin (BTC) to British Pound (GBP): 2,908.35 £ | Live Bitcoin Price in British Pounds. Bitcoin is the most popular digital money. LiveBTCprice.com provides BTC rates live updated. You can find BTC to GBP exchange conversion here. The exchange rate is updated each minute.